Asthma is a disease that often starts in childhood. Asthma makes it difficult for your child’s lungs to get air. That makes it hard for your child to breathe. Asthma happens when your lungs become irritated and fill with mucus. The more frequent the symptoms, the more serious the disease. Newer research suggests that asthma is tied to obesity (being significantly overweight). Your doctor will perform a physical exam on your child, look at your child’s medical history, and perform a breathing test called spirometry. Spirometry measures how much air you breathe out after taking a deep breath. It is painless and can be done in the doctor’s office. Your doctor will give your child a disposable mouthpiece that attaches to a tube. That tube attaches to a machine that records their breathing. There is usually an image on the machine’s screen, such as birthday candles or a wall of bricks. As your child exhales, the candles will go out (or the bricks will fall down). Your child will be asked to repeat the test more than once during their doctor’s visit to get accurate results. If your child’s asthma is bothering them at the time of the test, your doctor may give him or her a dose of an inhaled prescription medicine that opens up their airway. They will be asked to retake the test after inhaling the medicine. The exercise challenge (exercising on a treadmill or stationary bike while doing a breathing test). An exhaled nitric oxide test (breathing into a special device that measures how much of the gas nitric oxide is in your breath — high levels of the gas are present in people with asthma). Allergy testing (skin and blood tests to determine what you are allergic to). Can asthma be prevented or avoided? Asthma cannot be prevented. However, your child can reduce his or her asthma attacks by learning their triggers and avoiding them. For example, limit your child’s exposure to pets and cigarette smoke, and have them stay indoors on days when air pollution is bad. Avoid wearing strong perfume or cologne around your child. Strong smells can trigger an asthma attack. There is no cure for asthma. It can often be a lifelong condition. However, you can improve your child’s quality of life by knowing and avoiding their triggers, reminding them to take their prescription medicine, and following the written asthma plan their doctor gives them. The plan gives details on their triggers and what to do if they feel the start of an attack. There are two types of asthma medicines. The first are maintenance medicines (taken daily to keep their asthma under control). The second are quick-acting medicines (usually in the form of an inhaler to bring them immediate relief when they have an asthma attack). Some people take their medicine with a nebulizer. A nebulizer changes liquid medicine into a fine mist that is inhaled through a mask or mouthpiece. Your doctor will determine which is best for your child. Living with asthma as a child can be difficult. An asthma attack can interfere with physical activity (playtime and sports), sleep, and cause children to miss school or be hospitalized. Teach your child to recognize their asthma triggers and to plan for those triggers if they can’t avoid them. Also, teach your child to keep their quick-acting medicine nearby in the event of an asthma attack. With proper monitoring and medicine, your child can enjoy a full and active life. 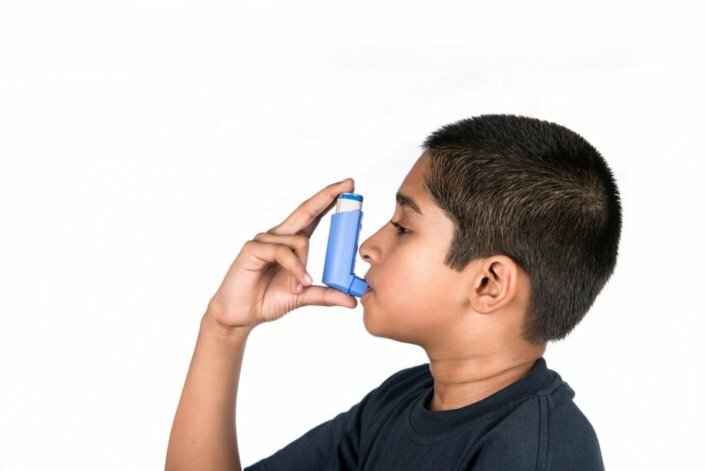 Can my child outgrow asthma? Can you die from an asthma attack? Does losing weight improve your asthma? Are there any things I can do in our home to reduce the risk of my child having an asthma attack? An asthma action plan is written instructions about how to prevent and treat asthma attacks at home. If the asthma treatment your doctor prescribed isn’t helping your symptoms, review these questions, answers, and things to consider.